Born in Manila on June 21, 1957. Studied at San Jose Seminary in Quezon City. Took up licentiate and doctorate in theology at The Catholic University of America in Washington, D.C. Became Rector of Tahanan ng Mabuting Pastol in Tagaytay City from 1984-2011. Became a member of the International Theological Commission from 1997-2002. Ordained Bishop of Imus on December 12, 2001. Formally installed as Archbishop of Manila on December 12, 2011. 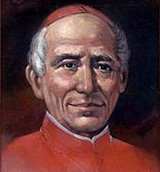 Elevated to the Cardinalate on November 24, 2012. Member of different Congregations and Pontifical Commission: Permanent Council of the Synod of Bishops, Congregation for Catholic Education, Congregation for Institutes of Consecrated Life and Societies of Apostolic Life, Congregation for the Evangelization of Peoples Pontifical Council for Family, Pontifical Council for Migrants and Itinerant People, Pontifical Council for the Laity, Pontifical Council for Cor Unum. Serves as President of the Catholic Biblical Federation and Caritas Internationalis. Born on August 10, 1932 in Batangas City. Studied at San Jose Minor Seminary and at San Jose Major Seminary, Manila. While as Bishop of the Diocese of Malaybalay, Bukidnon, accompanied local church in its gallant struggle against unbridled commercial and illegal logging, and represented Malaybalay in the 1992 Earth Summit in Rio de Janeiro. 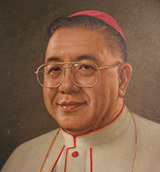 Became Archbishop of Lipa in 1992, where later he founded the Pondong Batangan, a value-based community foundation, and organized the Lipa Archdiocesan General Pastoral Assembly (LAGPAS), forerunners of the now-operational Pondo ng Pinoy and of the first Manila Interdiocesan General Pastoral Assembly (MIGPAS) in 2004, which he also organized. 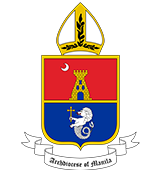 As chairman of the Episcopal Commission of the Clergy of the Catholic Bishops’ Conference of the Philippines (CBCP), convened the first National Congress of the Clergy in the Philippines in July 2004. Chosen to represent CBCP in three World Synods of Bishops (1990, 1997, and 2001). 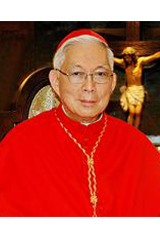 Elevated to the Cardinalate on March 24, 2006. Born on August 31, 1928 at New Washington, Aklan. Studied at St. Vincent Ferrer Seminary in Jaro, Iloilo. Became Rector of St. Pius Seminary in Roxas and Co-adjutor Bishop of Jaro with right of succession. Formally installed Archbishop of Manila on March 19, 1974. Elevated to Cardinalate on May 24, 1976. Became President of the Catholic Bishops’ Conference of the Philippines (CBCP) in January 1977 and was reelected in 1979. Attended the conclaves which elected Pope John Paul I and Pope John Paul II in August and October 1978. Instrumental in the calling of the 1986 EDSA Revolution which toppled down the 20 years of Marcos dictatorship and which restored Philippine democracy. Died on June 21, 2005. Born on August 26, 1908 in Guagua, Pampanga. Entered San Carlos Seminary and ordained priest in Rome on October 25, 1931. 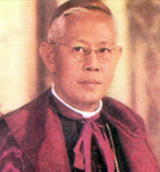 Installed as Archbishop of Manila on March 25, 1953. Elected as the first Filipino Cardinal by Pope John XXIII on March 31, 1960. Reconstructed the Manila Cathedral. Attended Vatican Council II. Died on September 3, 1973. Born on March 24, 1892. Entered St. Vicent Ferrer Seminary in Jaro, during the time of Bishop Frederick Rooker. Was ordained priest on March 27, 1915. Established parochial schools. Published the officer newspaper, Diaro-Kanbuhi Sar Banua. 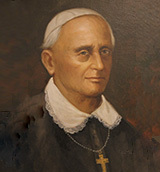 Became chancellor of Jaro in 1920, then vicar-general. Appointed first Filipino Archbishop of Cebu. 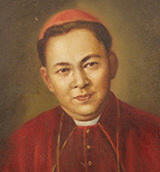 Installed Archbishop of Manila on October 14, 1949 as the first Filipino Archbishop of Manila. Died on October 10, 1952. Born on July 30, 1874 in Charlestown, Ireland. Was ordained priest on October 18, 1897. 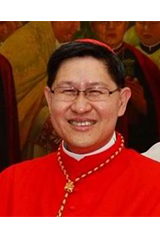 Appointed Bishop of Gibraltar and Zamboanga. 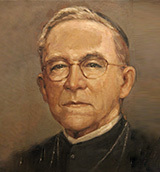 Formally installed Archbishop on December 14, 1916. 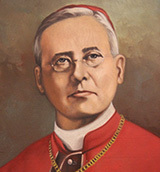 Was archbishop during the 1937 International Eucharistic Congress in Manila. Founded the Catholic Education Association of the Philippines (CEAP). Introduced the Legion of Mary in the Philippines. Born on November 5, 1853 in St. Louis, Missouri of immigrant Irish parents. Educated at St. Louis University. Finished priestly formation at St. Vincent ‘s College, also in Missouri. Ordained priest on April 28,1878. Appointed Archbishop of Manila in June 1903. His leadership had brought the Catholic Church in the Philippine revolution, the Protestant proselytarianism and the rise of Aglipayans. Participated in the 1907 Synod of Manila. Transferred to Nebraska in May 1916. A native of Asturias. Originally a professor in Manila. 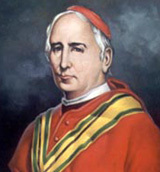 Took possession of his diocese on October 29, 1890. Issued circulars to the Filipinos on May 8, 1898 urging them to defend the Philippines against the American invaders. Returned to Spain and was nominated Archbishop of Valencia in 1903. Became Archbishop of Manila in 1876. Known to be meticulous in ecclesiastical administration. His greatest achievement was the adornment of the cathedral and its improvement. He died in 1889. Born in 1815, in Burgos. Studied at Valladolid and Madrid. 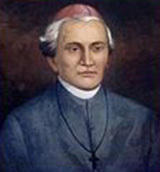 Appointed Archbishop of Manila on July 31, 1861. Received doctorate degree in jurisprudence in 1862. Urged the right of episcopal visitation of the regular parish priests. Protested to the governor against Moret Decrees in 1869. Published long pastoral letters in Spanish and Tagalog condemning the Cavite insurrection participated in by Filipino clergy. Resigned in 1875. Born in Barasoain, Pamplona on February 16, 1801. Studied philosophy at Pamplona and law at Zaragosa. Arrived in Manila in 1816 and served in Pampanga. Was elected prior provincial of the Recollect order in 1843. Appointed as Archbishop of Manila on November12, 1845. Known to be prudent, laborious, and economical. A missionary from Spain. Born on October 3, 1773. Entered the Augustinian order; went to the Philippines in 1795, then to China to spread Christianity for 20 years. Consecrated archbishop on October 28, 1830 at San Agustin Church. Sent several circulars to the clergy, inviting them for annual retreat. Died on July 4, 1845. Born in Villadolid in 1761. Took the Augustinian habit at an early age. Served as curate of several parishes in the Tagalog region. Became proficient in Tagalog. 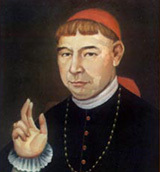 His appointment as Archbishop of Manila was met with great general approval. Assumed office on September 15, 1827. Born in Vizcaya in 1753. took the Dominican habit at the age of 16 in Burgos. Was professor of Theology at the University of Alcala for seven years. 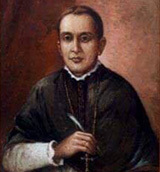 Consecrated Archbishop in Manila on July 14, 1805 by Bishop Domingo Collantes of Nueva Caceres. Endowed the seminary of his diocese. Died on March 4, 1824. Born in 1729 in Orbigo, Leon, in Spain. Took Franciscan habit at Priego. Went to the Philippines as preacher and confessor in 1759. 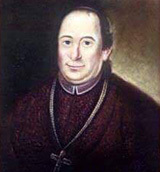 Was elected Bishop of Nueva Caceres while still procurator of his order in Spain in 1779. 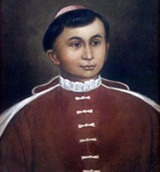 Chosen Archbishop of Manila in 1789. Died at Sta. Ana, Manila on May 15, 1797. A native of Aragon. Member of the Society of Scholarum Piarum. 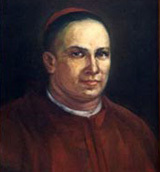 After consecration in Spain, he arrived in Manila in 1767 to preach vigorously against vices. Enforced episcopal visits of parishes by religious. Provided many parishes with diocesan clergy, especially Parian, Binondo, and the province of Bataan. Called the Manila Council on May 19, 1771. had a strong character and vigorous mind. Died in Manila on December 15, 1787. 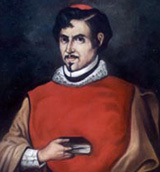 A native of Nueva España and Canon of Mexico. 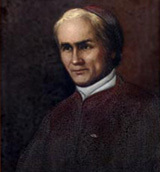 Consecrated Archbishop of Manila in 1758. Became governor by the Royal Decree of 1761 during the siege of Manila by the British. Had disputes with Anda who fought the British. died on January 30, 1764. Was given a military burial by the British. A native of Madrid, Spain. 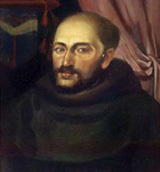 Franciscan friar who received the habit after serving various positions in both civil and ecclesiastical governance. Counselor for the affairs of the Indies. Consecrated as Archbishop of Manila in Spain. Made his public entry in Manila on August 27, 1747. Became professor in many universities. Appointed confessor of the Archbishop of Lima, Peru. Presented as archbishop on May 18, 1731 and took possession of Manila in 1737. Introduced the Gregorian chant, prohibited night processions, and reformed several feasts. Died in 1742. A native of Pueblo de los Angeles, Nueva España. Secular priest with licentiate and doctorate in Canon Law. Presented as Archbishop of Manila in 1722. Consecrated on June 17, 1725. Compelled to stay in Mexico due to lack of vessels traveling to Manila. A preacher to the king. Consecrated in Mexico on August 12, 1707. Implemented parish visitations of religious parish priests. 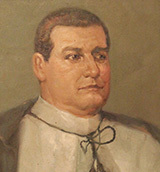 Imprisoned by Governor Bustamante, later became ad interim Governor of the islands after the assassination of Bustamante. Transferred to Nueva España. Died on May 30,1724. A native of Bandajos, Spain. Presented as archbishop on August 19, 1696. Consecrated in Mexico and took possession of Manila on September 13,1697. A strong champion of episcopal visits to religious with parishes. Established San Clemente Seminary to foster native clergy vocations. Beautified Manila Cathedral with personal funds and precious ornaments from Guadalajara. 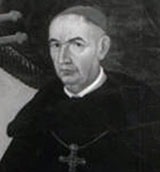 Transferred to Mexico where he died as Bishop of Guadalajara in 1712. Became rector of UST and provincial of the Dominicans. Consecrated in 1681 at the age 71. Underwent disturbing events, was banished and confined in Lingayen, Pangasinan. Died in 1689 at the age of 80. 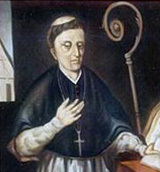 A Dominican scholar who came to the Philippines as a missionary in 1643. 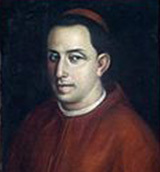 Consecrated Archbishop of Manila in 1672. Quick-tempered and readily angered. Involved in many unpleasant incidents. Died in 1674 after 42 years of religious life. Born in Mexico in 1603. Resigned as Bishop of Nicaragua to become Archbishop of Manila. Consecrated on September 9, 1650. Tried to enforce episcopal visit of regulars. Had quarrels with Governor Salcedo who refuseD to pay ecclesiastical stipend. Rebuilt the cathedral in 1654. Died on December 8,1667 at the age of 64. Was buried in the Manila Cathedral. Dr. Fernando Montero de Espinosa, secular priest of Burgos, became first chaplain of the Royal Chapel of Philip IV. Consecrated bishop in Mexico in 1643 for Nueva Segovia, then appointed Archbishop of Manila in 1644. His installation never took place for he died in Pila, Laguna on his way to Manila in 1645. An Augustinian friar from Madrid. Came to the Philippines, holding many posts in the order. 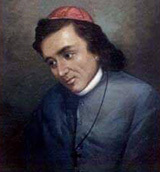 After becoming Bishop of Nueva Segovia, became Archbishop of Manila on June 23, 1635. Had quarrels with Hurtado De Corcuera, the Audencia, and the Jesuits. Died on July 1, 1641, and buried in San Agustin Church. Born in Madrid. Went to the Philippines and held important positions in the Order of Saint Augustine before taking possession of the See of Manila on August 24, 1619. Greatly helped the foundation of Sta. Clara nuns. Tried to enforce visits of regular parish priests. Grieved over the blessed sacrament stolen in the cathedral in 1628. Died on June 6, 1629 at the age of 60. Related to Ronquillos. Became a diocesan priest obtaining a doctor’s degree in Canon Law from the University of Mexico. Went to the Philippines with Salazar working as the dean of Manila Cathedral. Became Archbishop of Manila in 1610, eve of Corpus Christi. Completed building the cathedral and enacted various regulations for good government of the cathedral. Died on June 12, 1616. A native of Carrion De Los Condes of noble parents. Became a Dominican and went to Manila with the first Dominican mission in 1587. From Bishop of Nueva Segovia, was transferred to Manila in 1603, the king defraying expenses of the Bull due to his poverty. Built Santo Tomas University. Died on July 26, 1605, leaving his funds to UST. 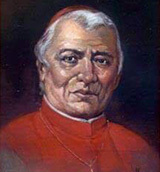 First Archbishop of Manila, native of Burgos, Spain. Became a provincial and preacher to King Philip II. 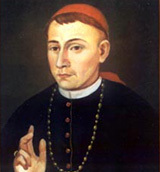 Consecrated archbishop in Nueva España ( Mexico ) in 1596. Took possession of the See of Manila on May 28, 1598. Erected the Metropolitan Cathedral with three suffragans: Cebu, Nueva Caceres, and Nueva Segovia by virtue of the Bull of Pope Clement VIII on August 14, 1595. Died of dysentery on August 14, 1598. Was buried in the cathedral. 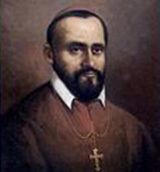 First Bishop of Manila, born in Rioja, Spain in 1512. Entered the Dominican Order at Salamanca and worked for 40 years as a missionary in Nueva España ( Mexico ). Consecrated bishop in Madrid in 1579. Arrived in Manila in March 1581. 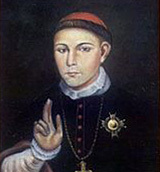 Erected the Manila Cathedral on December 21, 1581 by virtue of the Bull of Pope Gregory XIII as suffragan of Mexico. Defended the natives against abusive encomenderos.